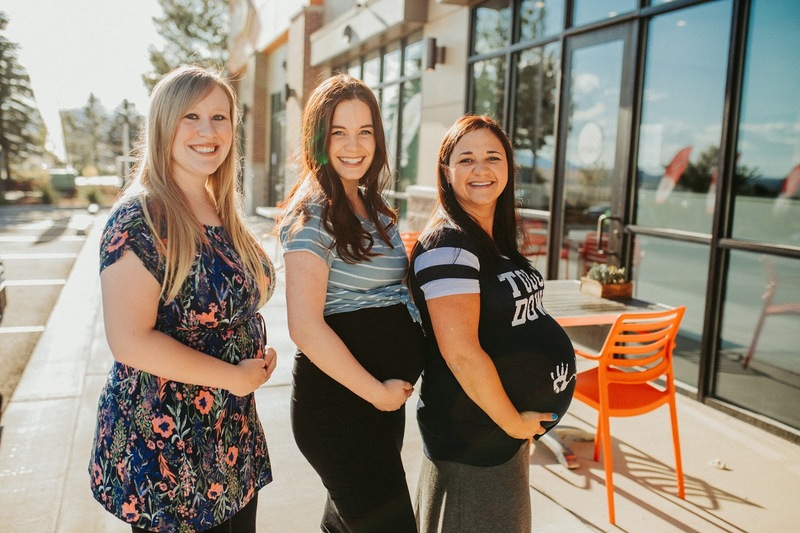 Pregnancy is such a weird time of life... but thankfully, I have two sister-in-laws who just so happen to be pregnant at the exact same time that I am! 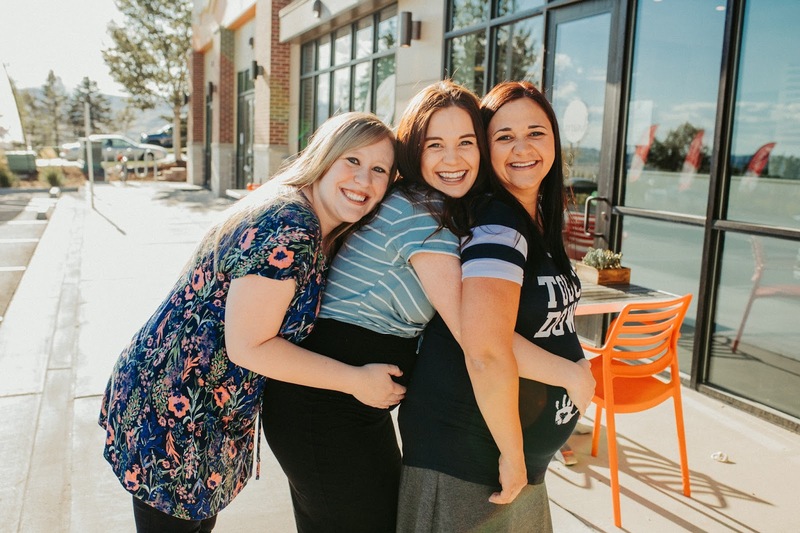 It's been a lot of fun to go through this pregnancy with the two of them (and Taylor's mom is the lucky grandma who gets three new grand babies within just a couple months of each other). 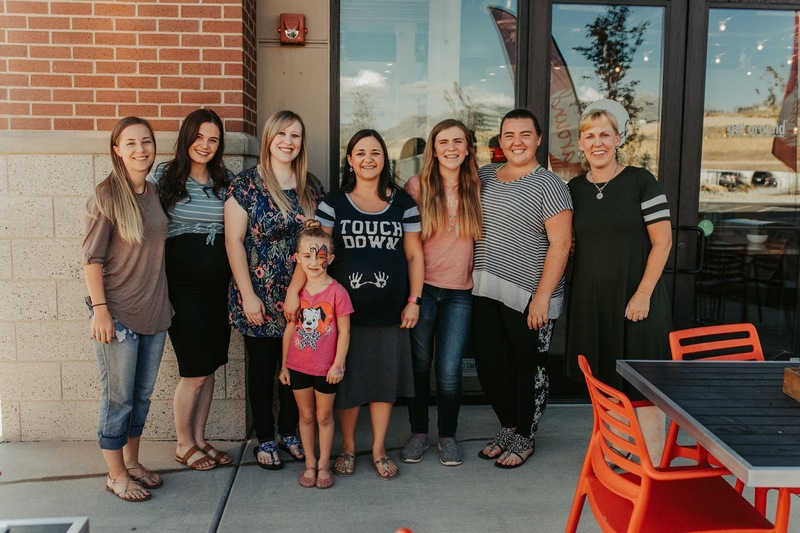 For future reference: I'd highly recommend being pregnant at the same time as close friends and/or sister-in-laws because it makes the whole process much more fun (mostly because you have someone to complain with hahaha). Brooke's having her sweet little boy tomorrow morning (literally freaking out just thinking about it, it's fine), I'm due with a baby girl in October, and Marissa is expecting her own little girl in December! We're all basically six weeks apart in our pregnancies (I'm smack-dab in the middle)-- which is still so funny to me. We had a little baby shower on behalf of Brooke and her new babe last night. We met up at a delicious little place called Around Eatery in Traverse Mountain (100% recommend their BBQ Korean sandwich + hummus + shakes... just sayin') for dinner and showered Brooke with an array of cute little baby goods. I still can't believe that she's having her baby TOMORROW. Time passes so rapidly, it's tough to keep up with it! Oh how elegant Brook’s baby shower it was. So pretty and colorful too. At one of the prettiest Chicago event venues I also would be hosting a wonderful bash for my sister-in-law and it is going to be a pretty country themed bridal bash. Feeling so excited!